If you read this blog, you know that I often write about what I experience on a day-to-day basis. After all, it’s hard to do this six days a week if you’re not passionate about what you write about. This morning I’d like to share my experiences yesterday with an orthopedic shoulder surgeon who was very frustrated with our approach toward shoulder surgery. I suspect that he had a patient show up with one of my blogs in hand that discussed how the research behind shoulder surgery is not that favorable. So let’s jump into that discussion with an eye turned toward the bright future of interventional orthopedics rather than to the dim past of invasive orthopedic surgery. Yesterday, my staff alerted me to a local orthopedic shoulder surgeon who had left some unkind comments on our chat system. I immediately recognized the name from a time in my practice when my approach was to try a steroid shot and physical therapy and when that plan didn’t work, I would send these patients to this surgeon. Fast forward a decade and a half and it’s rare that I send patients for shoulder surgery. Why? Interventional orthopedics was developed mostly by our clinic but is now spreading across the country outward from Colorado and other locations. Full-thickness rotator cuff tears do just as well with physical therapy. In other words, this big invasive surgery improved the pain no better than PT. One of the more common shoulder surgeries called decompression (where ligaments are cut and bone removed to reduce the pressure of impingement) was also shown to be ineffective. So what can we say about all of this research that questions the effectiveness of very common shoulder surgeries? That the research support for these invasive procedures for many indications just isn’t robust enough to support the risks of the procedure. Let’s face it, if you’ve spent your whole career learning and perfecting shoulder surgery techniques, the last thing you want to hear is that common shoulder surgeries have large studies showing they don’t work. 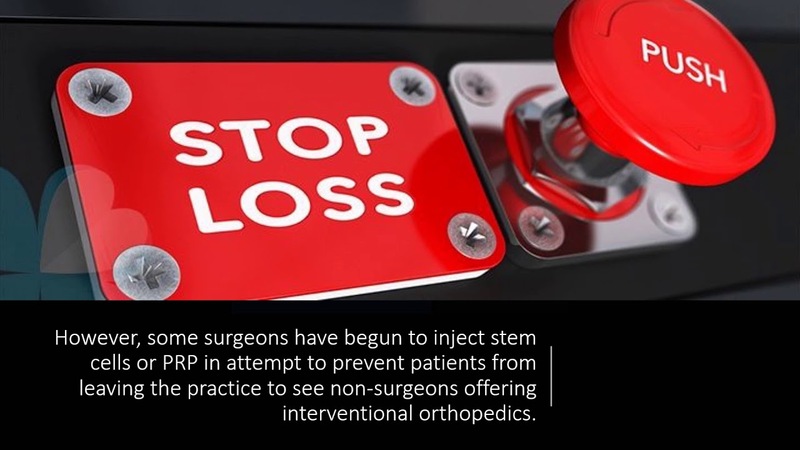 However, make no mistake, that’s what’s happening year after year as more and more high-level research questions whether orthopedic surgeries are effective. Hence, surgeons are bound to react to this news, which is what we saw this week. We’ve even seen surgeons bombing our Facebook page or LinkedIn posts when we share high-level research that questions whether these invasive procedures work. The upshot? 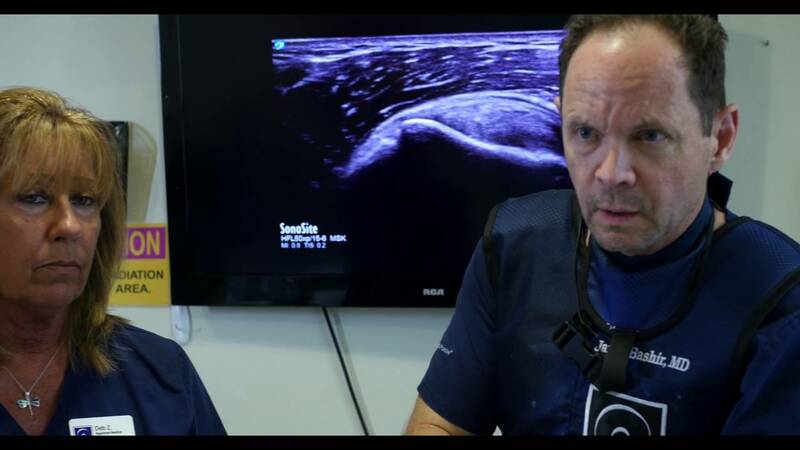 It’s not surprising that we’re seeing shoulder surgeons react to new technology that will likely replace much of what they do. However, as a patient, please be aware that you’re in the middle of a major paradigm shift. So don’t get caught up in being forced into old tech when new tech is here or just around the corner. I am 77-yrs old F with grinding and some discomfort in my Rt shoulder. I have been told I need a shoulder replacement which I have now cancelled. I have never had to take any pain medication for the discomfort and am more concerned abt thrombosis and the long rehab post-op than the fact of bone grinding on bone. But I never see you mention stem cells for this condiition awaiting in the future. Unfortunately, shoulder replacement is the least successful of all the joint replacements, and you are wise to seek alternatives to avoid the risks of the surgery. We treat shoulder arthritis regularly. Please see: https://www.regenexx.com/conditions-treated/shoulder/shoulder-osteoarthritis/ and https://www.regenexx.com/blog/can-treat-severe-shoulder-arthritis-injection/ and https://www.regenexx.com/blog/severe-shoulder-arthritis-stem-cell-update-im-blown-away/ If you'd like to see if you would be a Candidate, please submit the Candidate form, or give us a call at 855 622 7838 and we can assist with the process. I have rt shoulder bone on bone with no cartilage for at least 5 years, avid swimmer 3x/week for 1 mile, age 62 male. The Boston orthodic surgeons want to do shoulder joint replacement, but I keep holding them off. What are my alternatives? Who can I see in the Boston area? I am scheduled for right shoulder replacement February 12. I have osteoarthritis bone on bone with 2 cysts in the socket. Can be very painful. I worn my joints out in the military because I was the fitness trainer for our unit. The VA denied my claim even after all the doctors that I have seen said it was the result of my service. I retired from the military in 1998. I already had my left shoulder replaced 4 years ago which is doing great, but the recovery was terrible. I would like to avoid the surgery if at all possible. Please advise. Do you have a current MRI of that shoulder? I was diagnosed with type 2 which seems to be higher with age. Calcium to set the hip replacement was a problem so was revised with titanium + CA and seem ok except for cut muscle to put in implant that goes to the knee. Chemo has also affected EDS.